Politics is not a game of chess, and much less so when the world is no longer divided along the unipolar axis of the 1990s, when the United States could make and unmake governments –the way in which the war in Syria has mutated is testament to this. 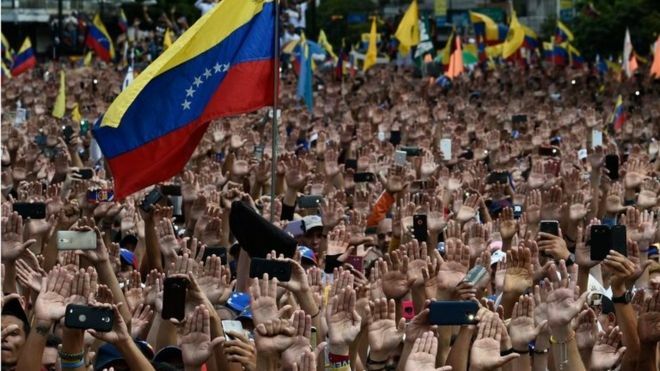 Venezuela is hostile terrain for calculated outcomes, and the Venezuelan rightwing has been a costly, poor investment: this is the fourth attempt to seize power in six years. One reason for this repeated failure is in the nature of Chavismo itself, its complexities, potency, architecture, and capacity to fight back when it is against the ropes. Posted on February 4, 2019 February 4, 2019 by NeelabhPosted in PoliticsTagged Venezuela, Verso. Previous Previous post: What’s the best charity to donate to?